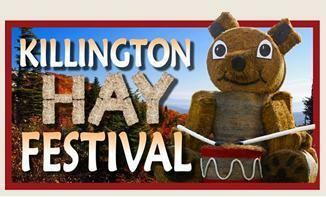 The 2010 Killington Hay Festival starts on Labor Day and runs through Columbus Day. This family-friendly event features thirty-five hay sculptures, a hay maze, scavenger hunt and more. This year’s festival also helps to support the National Audubon Society’s conservation efforts.